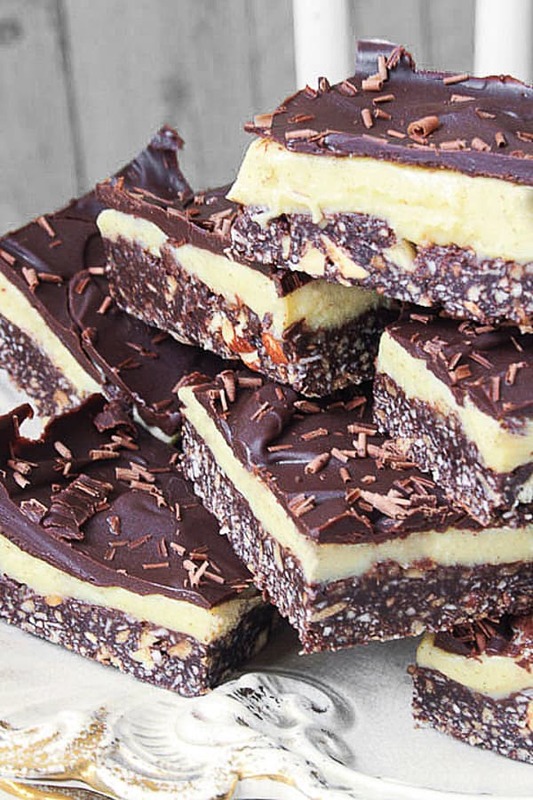 The only way I know about Nanaimo Bars is through Pinterest. I can happily spend hours on Pinterest, admiring, ogling and salivating over food from other bloggers around the globe. I went off it for a while when I had a life, busying myself with market stalls, cake commissions and my regular blog posts. However at the moment when days of activity seems light years ago and the only energy I have is to move my fingers around my tracking pad my desire to while away my maternity leave loitering on the internet has become all consuming. They say that every pregnancy is different; some women can work around their burgeoning bump, jumping on the tube, commanding boardrooms and being superwomen. One of my new antenatal friends is even zipping around the stage in the West End performing in The Commitments. I don’t know whether I am a complete wuss or just unlucky but what I do know is that baby-to-be is zapping all my get up and go. Oh, I still have the motivation in my head but when I stand up I topple over and my morning walks with Billy Buddy leave me clutching lampposts and streets signs for support after about ten minutes. Basically this is my long winded way of saying that I am sorry for not posting as frequently as usual and that my newsletter has fallen completely by the wayside but I am totally knackered. The puppy who has just had a second operation to repair his dodgy knee is putting me to shame, running rings around me and flaunting his recovery with a deliberate smugness if you ask me. However, this is why you know these Nanaimo Bars I want to talk to you about today are worth a bit of a looksee, since this week I have made them more than once, a little bit of a late stage pregnancy record for me. 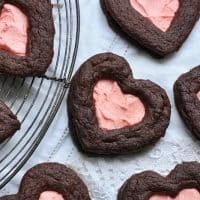 They were extremely delicious when I made them on Tuesday but not quiiiite right and they deserved a bit of recipe tweaking before I shared them with you. So yesterday I drove to the supermarket like a normal person and bought more eggs, digestive biscuits and desiccated coconut in order to perfect them. 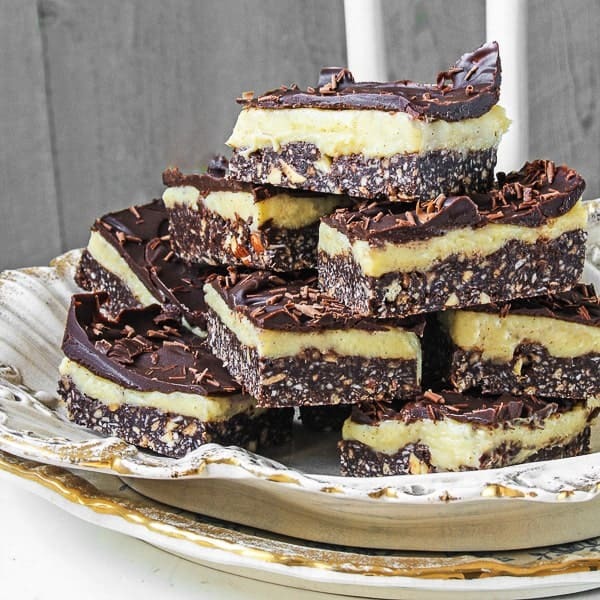 Nanaimo Bars, if you haven’t heard of them, are from Canada, named after the west coast city of Nanaimo in British Columbia and have been voted in the past Canada’s most popular confection. But as I say I only know about them via Pinterest and before this week I had never eaten a Nanaimo Bar in my life. However all sorts of variations of the bar have been filling up my Pinterest board for months desperate for me to give them a go. 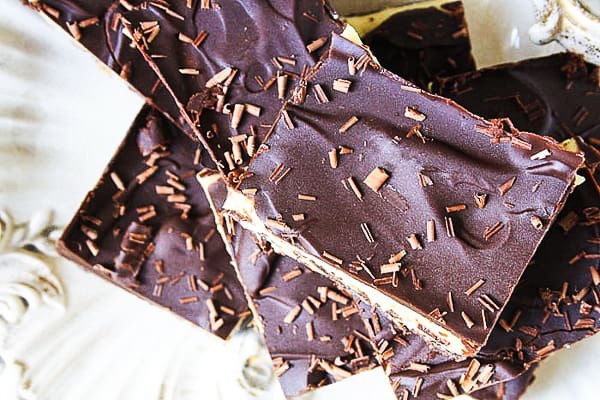 The key components of these no-bake bars are a biscuit/nutty layer at the bottom, followed by a squidgy middle layer of custard and then topped with chocolate. 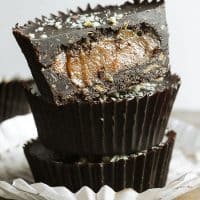 Most of the recipes I have come across include coconut in the bottom biscuit layer which I think is due to Joyce Hardcastle who included coconut in her award-winning recipe from 1985 to find the ultimate Nanaimo Bar recipe. Who am I to argue with the ultimate recipe so I have included toasted desiccated coconut as well as almonds in my version. Nearly all the recipes I found in my research as well were happy for instant pudding mix or Birds’ custard powder to be substituted in the middle layer but I deemed this unacceptable when a good old-fashioned vanilla custard is very easy to whip up and something you don’t need to be daunted by. The taste of fresh vanilla pods spiking through the custard is incomparable. I finished my bar with a topping of molten chocolate, stirred through with a dollop of sour cream to add a bit more fudginess. The end result was delicious, but then how can you go wrong when you are working with this line-up of ingredients. It was so good it was well worth getting off the sofa for, not once but twice. Melt the chocolate and butter in a bain marie then add the sugar and cocoa and stir in until a smooth liquid has formed. Pour the molten chocolate into the beaten egg carefully, whisking all the while until it has completely blended. Pour everything back into the bain marie and continue to whisk together until it has formed a thick custard. Remove from the heat, then stir in the crushed digestives, almonds and coconut. Tip into a lined and greased 8-inch square baking tin, pressing into an even layer then place it the fridge to set for 1 hour. Whisk together the egg yolks and caster sugar until pale and thickened then add the flour mixing until completely incorporated. Very carefully pour the warm milk into the egg mixture, whisking all the while to stop the egg from curdling. Once all the milk has been incorporated into the eggs pour back into the saucepan then bring up to a careful boil whisking continuously until the mixture is very thick and smooth. Take off the heat and pour over the top of the choco-coconut bottom layer, spreading out evenly. Sit some cling film over the top of the custard layer to stop a skin from forming then place in the fridge for about an hour to cool and set. Pour the chocolate ganache over the custard layer then place in the fridge to chill and set. Sprinkle some chocolate shavings over the top if you like. Once the top layer has set then cut into bars and guzzle down to your heart’s content. The middle layer traditionally is like a buttercream that is coloured with Bird’s custard. It is firm and not at all custardy. I live in Vancouver B.C. 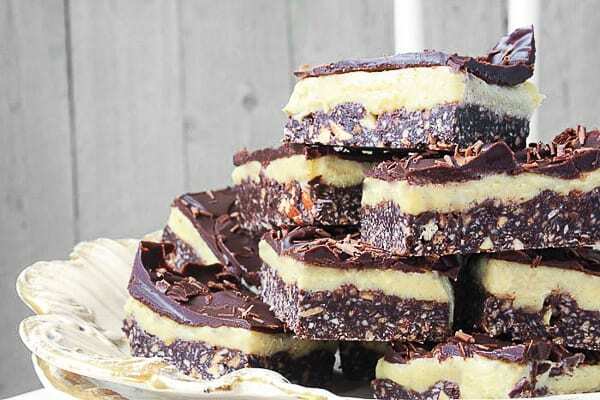 and know Nanaimo Bars well!